Coogee is one of the iconic Sydney beaches, set in a vibrant village atmosphere. This scenic beach distillates the essence of Australia, with surfers, swimmers, sun-bathers and of course its surf lifesaving club members making swimming a safe and enjoyable experience. 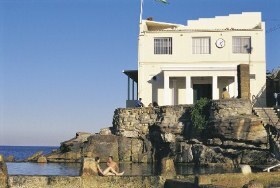 A rock pool is also available, as well as showers, amenities and the traditional Aussie [idiom: Australian] BBQs. The Coogee area offers many dining options, with cuisines from around the planet being well represented. Check the Urban Spoon web site for restaurant recommendations (you may need to click through to individual restaurant's websites for complete menus). The popular coastal walk will take you the famous Bondi beach further North, or the surfing beach of Maroubra further South. There are shopping opportunities in the boutique stores at Coogee, although serious shoppers may head to the Sydney central business district. Set in the heart of magnificent Port Jackson, Sydney is one of Australia’s jewels. Its typical skyline hides a mixture of high tech and older style buildings, home to a busy business centre, and crowned by the Opera House and Sydney Harbour Bridge at the North. Sydney’s many museum and tourist attractions will keep visitors in awe, from a close encounters with sharks and an immersive tropical experience at the Sydney Aquarium, to a night of fun at the Luna Park amusement park, featuring some genuine 1930’s rides. 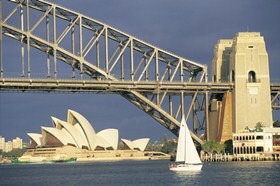 For a comprehensive list of things to do in Sydney, start at http://www.sydney.com/things-to-do. 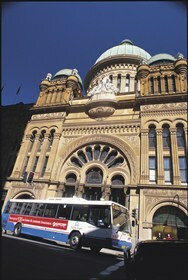 You can also find out about current shows and events at http://www.au.timeout.com/sydney/aroundtown. Avid shoppers will be rewarded by a visit to the Queen Victoria Building (QVB), a stroll on Pitt St mall, or in Darling Harbour, where local and international brands combine to cater for all tastes. China town offers typical Asian food and shopping, and hosts some tranquillity haven at the Chinese Garden. Sydney ferries are the best way to discover the bay of Sydney, and will take you to the leafy Taronga Zoo, the famous Manly beach, or perhaps to a fine sea food dinner at South Head. 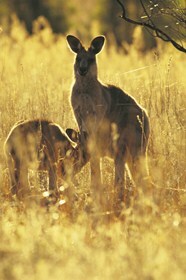 Exploring further, by train or bus, one will explore the beautiful Blue Mountains and get the chance of a glimpse of wild wallabies, cockatoos, and many more Australian fauna. 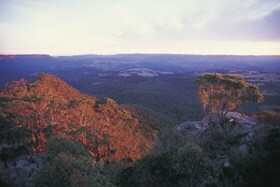 Sunset on the Three Sisters in Katoomba is an unforgettable experience that one will complete by a mountain style dinner in the local fine restaurants. While weather can change from year to year in Sydney, December is in the middle of summer and offers a mean temperature of 17-25C (62-77F) and 78mm of rain. 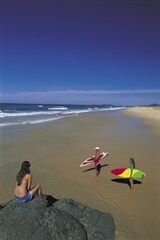 While a rain jacket might always become handy, December is BBQ and swimmers [idiom: swimwear] season Down Under!